a heart surrendered: Dennis' Foster Mom. In honor of National Foster Care Month, I wanted to highlight the woman who took care of Dennis the first four months of his life. His Foster Mom. After we were married, Mom handed us an envelope that contained every paper they possessed pertaining to his adoption. The envelope contained correspondence from the lawyers, a one-page typed letter with his birth family's history, the receipt for his adoption, totaling $500, paid on April 15th, 1968 (if only the cost was still this feasible! ), and a three-page form filled out by his Foster Mom. Dennis was named Jason Conrad Bold by his birth parents, Jack and Sue, but the foster mom called him Spencer. (He loves to say that his birth name sounds like a Superhero!) His full foster name was scratched out and replaced with his adopted name, so we will never know who this woman is, or how to find her and thank her for her kindness to "Spencer." But we are thankful. Below are the highlights of her notes. 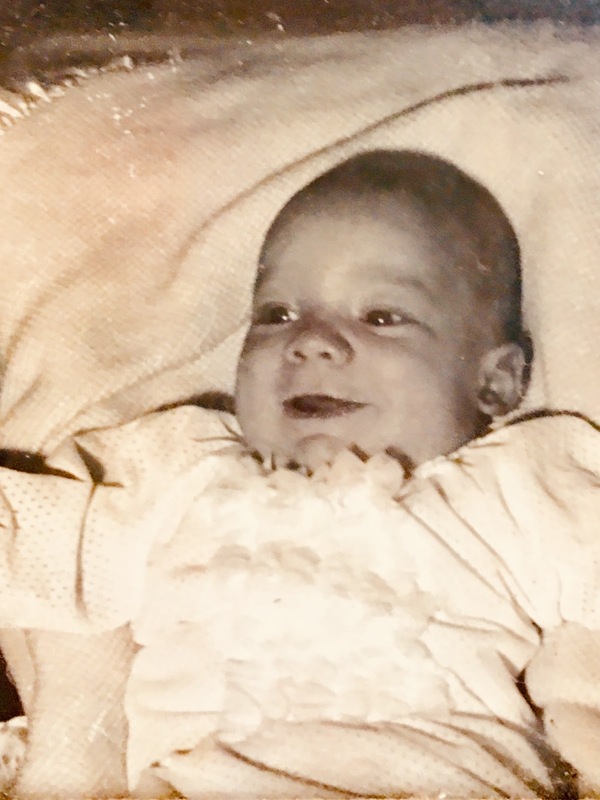 I hope you enjoy this glimpse into the life of the blonde, blue-eyed four-month-old baby boy who grew up to become Dennis Lee Eastman, as well as the heart and mind of a woman who chose to "visit orphans in their distress," and did so with joy. - Bath in mid-morning. Do not make sudden movements. - Likes a lot of attention in early evening hours until bedtime. - I have always held Spencer while feeding him. - You are going to find that sometimes when trying to give him his bottle he wiggles a lot and pushes the bottle away. I knew he was tired and needed milk so I laid him in bed propped up with his bottle ... he just loves it. - Spencer sleeps at night on his tummy, usually with a pacifier when he first falls asleep. - Two or three blankets to cover him, and he stays warmer with his stretch sleepers on or sleepers with the feet in because his feet get cold very easily, hands also. * Do not overdress him when going out (too many blankets) as he perspires easily. - Lately, he will put as many fingers in his mouth as possible and coo for quite a while. - If you talk softly to him and play with him a lot, you will be well rewarded because he talks a blue streak and you will be surprised at the sounds he will make. - If there's one thing that stands out in my mind to tell you it is to talk to him a lot as he is advanced in this capacity. - His latest feat of daring is jumping on your lap, lift him up high and he loves it. - He loves to go bye-bye. Put him up to your shoulder and he will watch out the window and enjoy every bit of it. - He is one beautiful boy, and he is all boy. Turned over - 1 month **** No kidding. He tucked his arm under and over he went, then it was a habit thereafter. First words - I have been practicing with him to say "Ruffles have Ridges" but to no avail - I hope you have a good sense of humor. It is a lovely afternoon, and I recently received a call that Spencer will be leaving us this week. My only thoughts right now are that you are very fortunate to be getting Spencer as an added member of your family. He has been most precious to us, and an extremely bright child. He has enjoyed our children's attention to him and is used to a little commotion once in a while (vacuum cleaner, usual household noises). He loves to go outside in the shade and eat (now that the weather has been nice I do this once in a while). He talks up a storm, belly laughs if you really work at it, and loves to cuddle. We've spent many an hour in a rocking chair just playing. There are no words to express how much I will miss him, and how much we have loved him. My only wish for all of you is that you have much happiness and no sorrows and that his life is blessed with all good things. This is just one example of countless families who willingly, compassionately, and lovingly choose to bring children into their home until they are reunified with their birth parents, adopted by another family, or become part of their own. To the countless mothers and fathers who have chosen to open your homes and your hearts to foster children - Thank You!